Closing a cover letter with enthusiasm and certainty is essential to creating the right impression and sending a strong message to the reader. Often job seekers are concerned they may come across as too pushy or overconfident in their cover letter, resulting in a nondescript final paragraph that lacks conviction. These convincing closing statements can be adapted for your own use when creating your cover letter. Always wrap up your cover letter with a powerful affirmation of why you are a suitable candidate and a suggestion on the next step - a meeting, phone call, interview or discussion. Motivate the reader to take action. An enthusiastic and positive finish will add impetus to your cover letter and grab the reader's attention. 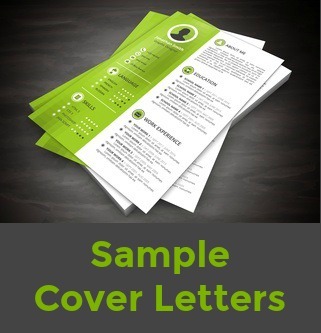 Use one of these cover letter closing paragraph examples to get the results you want. "I would welcome the opportunity to discuss with you how I can be of benefit to the company. I will call you over the next few days to make an appointment at a time that is convenient to you. Thank you for your consideration"
"I have enclosed my resume which will further expand on my skills and experience. I would appreciate the opportunity to meet and discuss your position further. Please contact me on 00.000.000 or by email to set up an appointment. Thank you for your time and consideration." "I am confident I can add real value to your organization. I am excited to learn more about this job opportunity and will call you next Tuesday to set up a meeting. Thank you for your time." "I believe I am particularly well qualified for this position and I would welcome the chance to meet with you to explore this further. I look forward to hearing from you soon. I can be contacted on 00 000 000 or on this email." "I am convinced that I can provide the accounting skills you require for this position. I look forward to hearing from you in the near future to schedule an interview at your convenience where we can discuss how I might contribute to the success of your company." "I am eager to learn more about the sales job and I would appreciate an opportunity to discuss my skills in more depth and how they can be of benefit to your department. I am available for a personal interview at your earliest convenience and can be reached on 00 000 000." "It would be a pleasure to provide you with more information about my qualifications and experience. I will call you on Monday to see when your schedule will permit a face-to-face meeting." "The chance to work at XYZ Company would be a tremendous opportunity and I am sure that I can make an immediate contribution to your bottom line. I will call you during the week to set up a meeting to discuss this further. Thank you for your time and consideration." "I believe my skills and experience will make me succeed in the position of X. Kindly review my resume and contact me at your earliest convenience to schedule a professional interview." reiterate how and why you can benefit the company. focus on what's in it for the organization if they meet with you. ask for the interview or meeting. give details of where and when you can be contacted. you can be proactive by stating that you intend to follow up at a certain point, and then make sure you do follow up at the appointed time. thank the reader for reviewing your application. 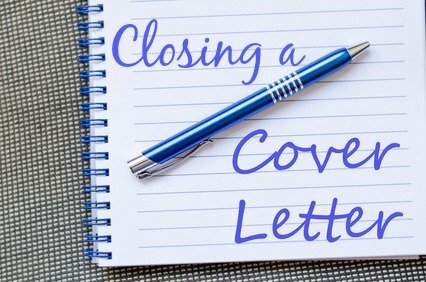 Closing a cover letter is the most important element in ensuring the reader takes action. By creating a strong and confident closing paragraph you will leave the employer with the impression that you are the right job candidate. Both type and sign your name at the end. If you are sending an electronic cover letter, including a digital signature is more professional than just a typed name. Set yourself up for job search success with these excellent resources.